Life is not composed of one thing. It is a combination of many elements, all working together or in tension to create a larger whole, and the trick to achieving success in that whole is balance. 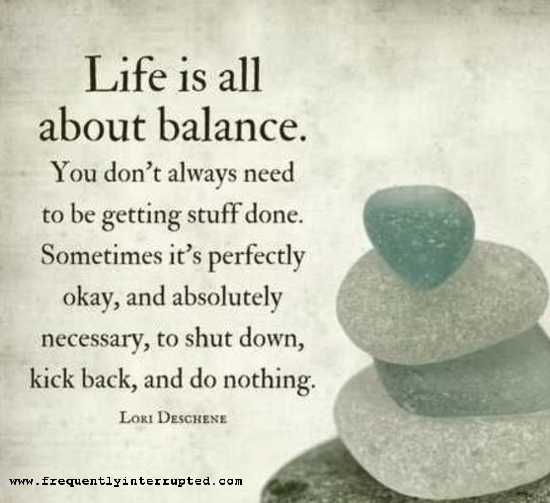 Find your balance, learn how to maintain your balance, and you will find that the whole of life just works better. Life is about balance.